Creed comes from the Latin word credere, meaning “to believe.” Our English word “credible” comes from credere, meaning what someone says is believable. So, a creed is a statement of what someone believes or trusts to be true. “I believe the earth is round, not flat,” is an example of a creed. In Christianity, a creed states what Christians believe (or are supposed to believe), drawing a line between what is acceptable and what is to be rejected. For example, “I believe in God, the Father, the Almighty Creator of heaven and earth.” With this statement, one holds the world came into being by “the Almighty Creator,” not a random occurrence of events. 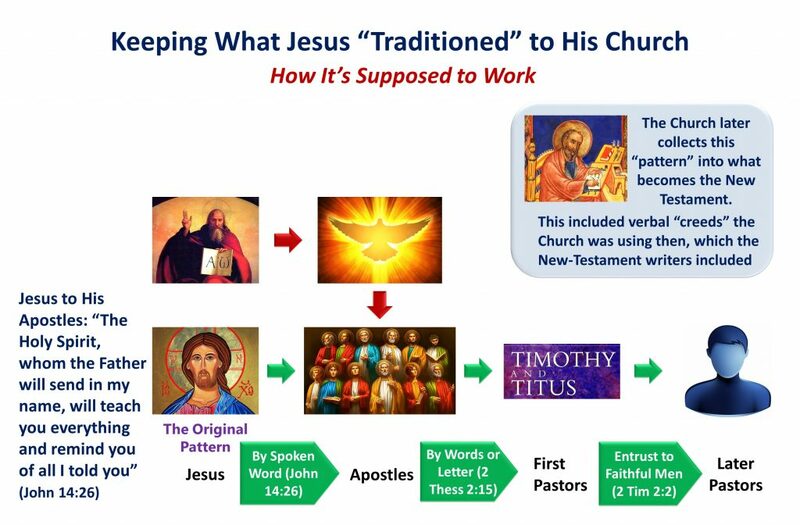 Jesus set up His Church to exist until He returns (Matthew 28:19-20). 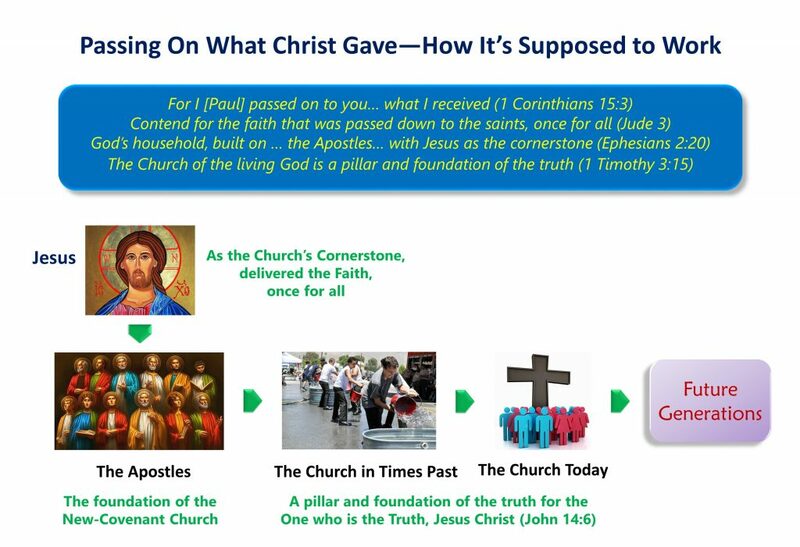 People brought into His Church by baptism (“born” into His kingdom, John 3:3, 5), become “members of God’s household, built on the foundation of the apostles and prophets, with Christ Jesus as the cornerstone” (Ephesians 2:19-20). 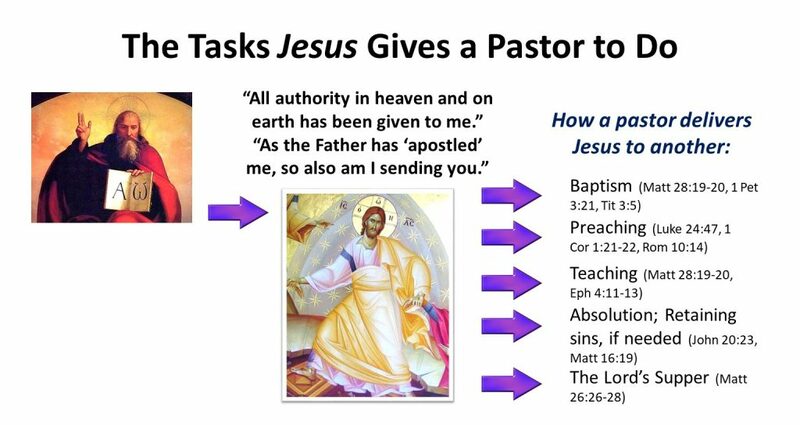 So, Jesus gave His Apostles, as the Church’s first pastors, not only what the Church is to believe, teach, and confess, but also what they were supposed to do as pastors. Given their mandate from Christ, the Apostles became the “foundation of the Church,” passing on what Jesus gave them in and through the Church He established. The Apostle’s and Nicene Creeds predate the Church’s list of what books make up the Bible (397 AD in Carthage). The books of the New Testament, however, were all written from about 40 – 90 AD. What’s interesting is that the New-Testament authors incorporated existing statements of belief the Church was using into the New Testament. The oldest and briefest may be the simple phrase in 1 Corinthians 12:3: “Jesus is Lord.” We find a longer one in Colossians 1:15-20. This “creed” about Jesus identifies Him as already existing before creation, leading to creation taking place through Christ, the head, beginning, and firstborn. Here’s an early hymn incorporated into the New Testament about Jesus. 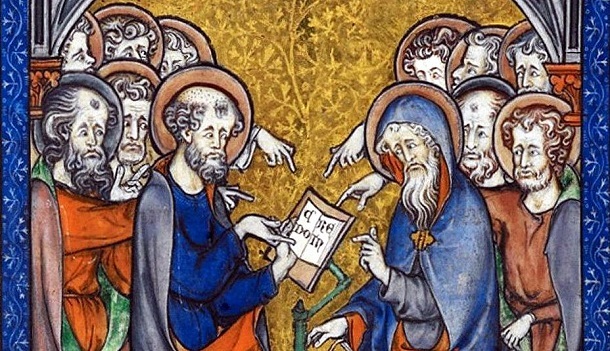 If something was already in use within the Church, which agreed with what Jesus taught, the Apostles had no problem included these into Scripture. The above statements of belief, which writers included in Scripture, help us understand this passage in Thessalonians 2:15: “stand firm and hold to the traditions you were taught, whether by what we [the Apostle Paul and Pastors Silvanus and Timothy] said or what we wrote.” The New-Testament writers chose to write down what the Church of their day taught verbally. So, Scripture shows us a place does exists for something not in the Bible to have authority within the Church. Our Confessions [which states what Lutherans believe] don’t say that Scripture is the only source of what we teach and do. What our Confessions say is that Scripture is the only rule and norm to judge our teachings and practices. That’s why our Confessions can assert that a teaching originating from within the Church (such are the Apostle’s and Nicene Creeds) can be authoritative. Our Confessions can only do so because they view the traditions of the Church passed down to us as authoritative—in a secondary way—which Scripture is still to evaluate and judge as correct. Though the document was written around 170 years after Jesus died and rose, the author, Hippolytus, claimed to be writing what he had received as the teachings of the Apostles. So, if Hippolytus was correct, then what he included came from the Apostles, those whom Jesus directly taught. Do you believe in Jesus Christ the Son of God, who was born of the Holy Spirit and the Virgin Mary, who was crucified under Pontius Pilate, died, and rose the third day living from the dead, and ascended into heaven, and sat down at the right hand of the Father, and will come to judge the living and the dead? The “old Roman Creed” was the predecessor of the Apostle’s Creed. The Apostolic Tradition linked the “old Roman Creed” to the creed confessed when someone was baptized. The original Nicene Creed starts out, “We believe.” We lose this in Lutheranism because we say, “I believe.” Though no one can believe for another, the “we” of the Nicene Creed reveals parts of its intended usage. It is the creed designed to be confessed by the congregation during the service, the “we” of the creed. This helps us understand why the Nicene Creed replaced the Apostle’s Creed in the liturgy, confessed during the service. This even ties in to what Paul earlier wrote to the Christians at Rome (directed to Christians, not unbelievers). Paul pointed Christians to the fulfillment of their salvation on the Last Day, when Christ will return. For that’s when Christians who are now saved, “will be saved.” Originally, the Christians to whom Paul wrote confessed, “Jesus is Lord,” using the “old Roman Creed”; today, we do this by using the Nicene Creed. Before the Nicene Creed (325 AD), the predecessors to the Apostles’ Creed served two purposes. First, they were confessed during the worship service; second, they were also used during one’s baptism. The “I believe” in the Apostle’s Creed helped maintain its usage for someone’s baptism. For baptism is something that happens to an individual, not a congregation. Thus, the Apostles’ Creed states into which faith, and Jesus, the person is being baptized. Next week, the content of the Creed.